The France Prešeren’s Day (official name in Slovenian: “Prešernov dan, slovenski kulturni praznik”) is the main Slovenia’s cultural and national holiday — a day off in the Republic of Slovenia, the anniversary of death of the greatest Slovenian poet France Prešeren. On this day, the official state ceremony takes place, at which the Frances Prešeren awards for significant achievements in the field of culture and art in Slovenia are presented by the Prešeren Fund. The first ceremony on the anniversary of poet’s death was held at the national level by the leadership of the National Liberation Movement in 1941, during the Second World War. However, at that time, it was regarded to as a celebration of Slavic unity and was officially celebrated on 7 February. 8 February has been celebrated as the Day of Slovenian Culture since 1945 to this day. In the first week of February, Ljubljana hosts open-air concerts of various singing ensembles and vocal bands. They perform at the Frances Prešeren’s memorial sites — the places where the poet lived, where he spent his time, and where he communicated with people. In addition to the official awarding ceremony, at which the Frances Prešeren’s Award (the most important award in Slovenia) is presented for outstanding achievements in the field of culture, the Slovenes have started celebrating the Slovenia’s cultural holiday a few days before 8 February as part of the numerous cultural events. On this day, admission to museums and galleries is free of charge, the same as to the concerts, theatrical performances, screenings of some films, etc. A detailed list of events is available at the following link. France Prešeren is a Slovenian poet (3 December 1800, Vrba – † 8 February 1849, Kranj). France Prešeren was born into a peasant family. Upon successful completion of training at the Faculty of Law of the University of Vienna, he returned to Ljubljana, where he worked as a lawyer. During this period, he wrote most of his poems, the creation of which was considerably assisted by his friend Matija Čop. France Prešeren became the first Slovene, whose poetry managed to compete with verses written by his contemporaries in other European countries, in which the Romantic style prevailed at that time. Today, France Prešeren is considered the greatest poet in the history of Slovenia. 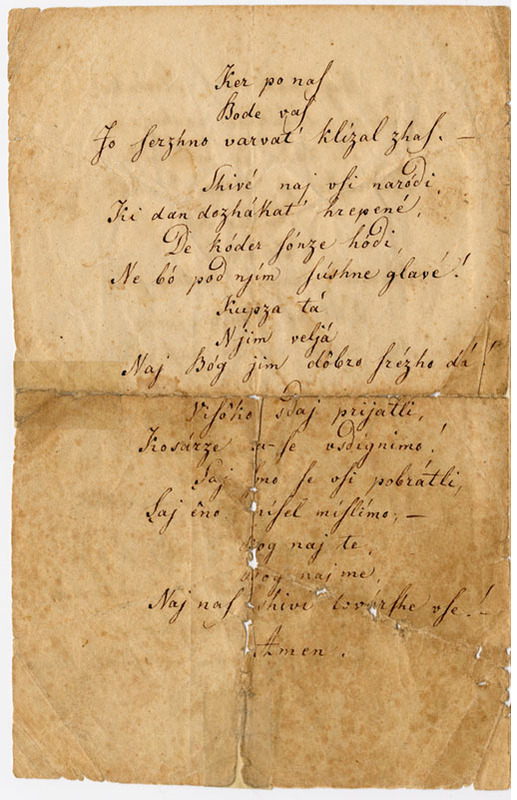 An excerpt from his poem “Zdravica” (literally — “a short speech”) written in 1844 became the text of the national anthem of the Republic of Slovenia. On the anniversary of poet’s death, the main state cultural holiday of Slovenia is celebrated. The anniversary of his birth called “Ta veseli dan kulture” in Slovenian is also celebrated, but not so massively.